On Sunday, January 25th, 2009, after 59-year-old Officer Wayne Sargent returned home from working a patrol, his house exploded, blowing off the roof and all the walls. Sargent reportedly sustained burns to his face and hands, as well as a gash to the head. When he managed to climb out of the basement over the smoldering debris with the help of some neighbors, the basement erupted into flames. Sargent, a 30-year veteran of the police department, was flown to Massachusetts General Hospital, where he remained in critical condition as of January 26th. 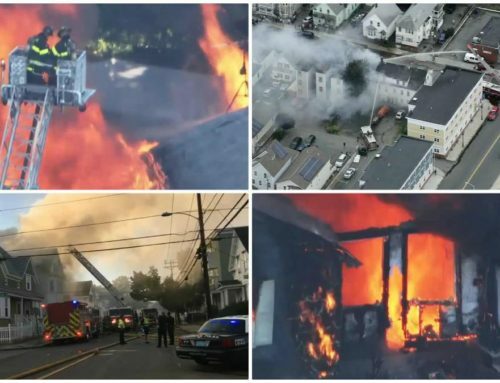 According to a National Grid spokesman, the initial investigation into the explosion revealed a leak in a gas pipe under the street in front of the home, located at 76 Eastern Ave. National Grid, however, declined to identify the leak as the cause of the explosion. Reportedly, there neighborhood residents made phone calls to National Grid over the last month, reporting a smell of gas in the area. The state fire marshal and State Police are heading the investigation. The blast also seriously damaged two neighboring houses, blowing out the windows to one while charring the side of the other house. Firefighters rushed to the scene within minutes and quickly had the fire under control, said Fire Chief Barry McKay. The blast rattled nerves in this neighborhood near Route 128. The smell of gas wafted through the air hours after the blast. Last month in Scituate, a man was killed in a house explosion. The cause remains unclear. The state fire marshal’s office has not released any details. If you or a loved one has experienced a catastrophic injury due to a gas explosion, contact the Boston law office of Swartz & Swartz, P.C.. Our record in gas explosion cases is second to none. We have been handling these cases for more than three decades and have achieved record results in Massachusetts, New England and throughout the United States. We will answer your questions and protect your legal rights. Speak with a personal injury lawyer today by calling (617) 742-1900, or toll free outside of Boston, 1-800-545-3732.